The video was beautifully shot in a recording studio in Wood Green and it is a clear example of Calum’s emotive and powerful voice. You can watch it here. 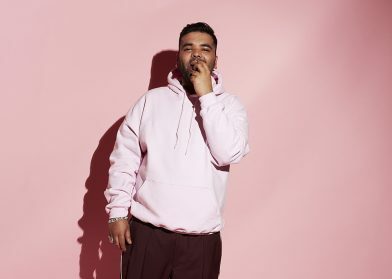 The original version of ‘Undo’, an up-tempo slice of dance-floor pop, saw Naughty Boy teaming up with international star, Calum Scott, and rising Jamaican dancehall star Shenseea. The track continues Naughty’s passion for collaborating with big talents, having teamed up with everyone from Rihanna, Emeli Sande and Ed Sheeran to Wiley and Wyclef Jean. He is currently working on his second album, the follow-up to his critically acclaimed debut Hotel Cabana (#2 in the UK).